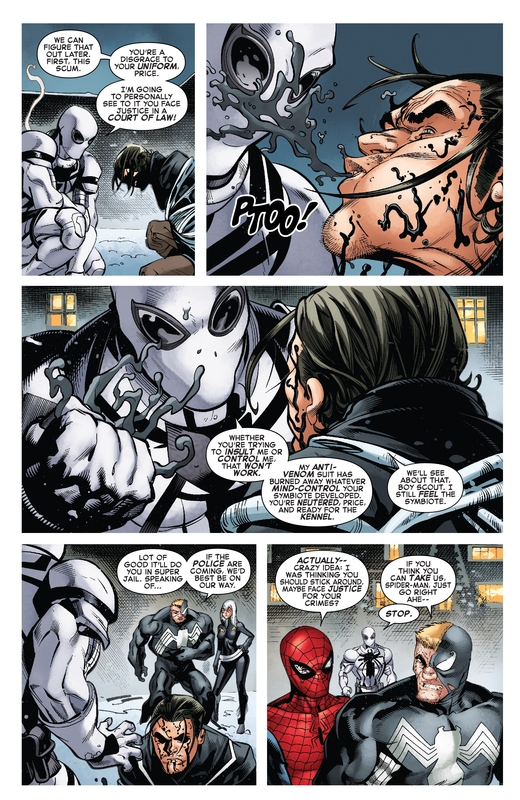 Listen, I'm all for Felicia to stop being a crime boss for no reason, but didn't she mutilate and torture people? That's the type of thing that needs a "mind controlled/replaced by a shapeshifter all along" type retcon. Where did she do that? In ASM and Defenders she didn’t do anything too extreme. Pretty sure it happened in Guardians of the Galaxy, during the Grounded arc. It ended with her killing a man by getting his tie caught in an escalator so that he was choked to death by the machine. Although there was a big splash of blood so his head may have exploded as well. Honestly the Black Cat as crime boss thing was so painfully stupid I would be pretty happy if the resolution was "everyone pretends it never happened". At least Flash gets to be a superhero again... although I'm still not a fan of the need to make Eddie Venom once more. 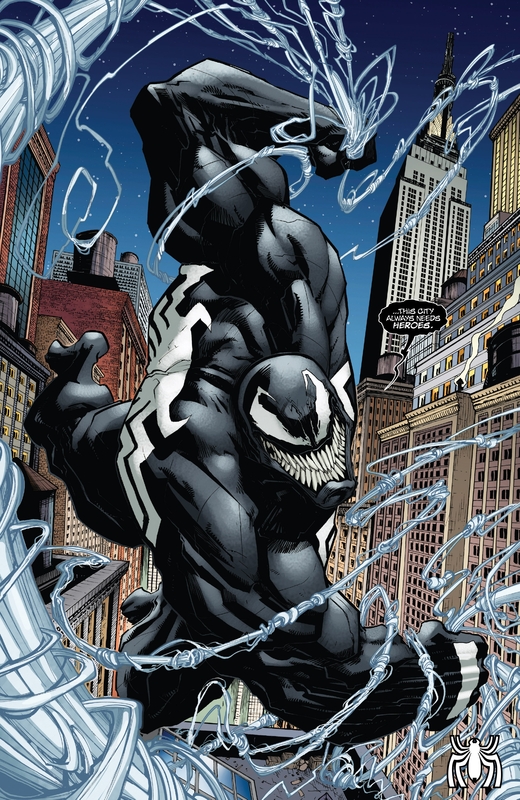 I'm kinda for Eddie being Venom, but as a villain, not as the "Lethal Protector". Are we heading into 90's nostalgia? Pretty sure we've already been in 90's nostalgia for a little while now. It might not have peaked yet, though. 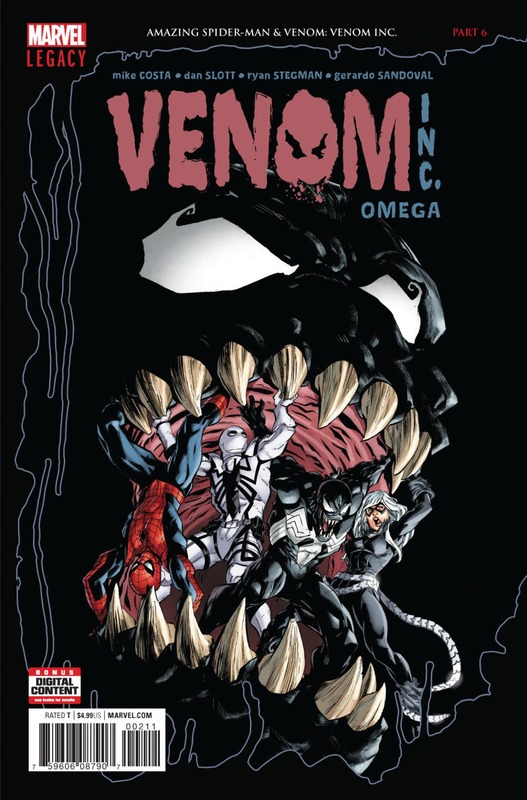 Venom Inc. reminded me how well Spider-Man and the Black Cat work together. The interplay and banter between the two is wonderfully amusing. In truth, this series is Dan Slott's means of rectifying several characters prior to being dismissed as the writer of Amazing Spider-Man. 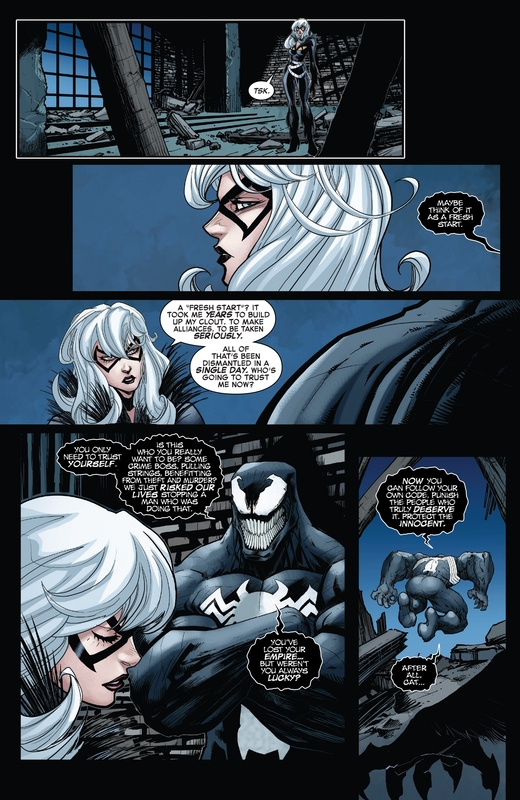 I am pleased the Black Cat may be returning to her original characterization, however, a momentary speech from Eddie Brock seems anticlimactic. Slott portrayed the Black Cat as an unrepentant crime lord who sought to kill/expose Spider-Man. 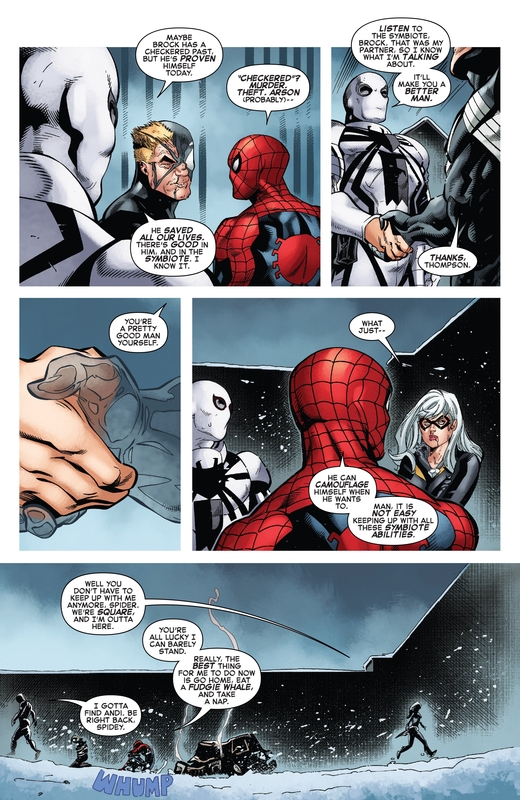 I would have preferred a final confrontation in which Peter Parker as Spider-Man confronts the Black Cat to redeem Felicia Hardy.